The healthcare industry continues to get threatened by risks to security in various forms—whether simple data breaches, or massive ransomware. Combined with the updated rules of HIPAA, ensuring the security of Protected Health Information (PHI) now stands paramount. Healthcare organizations have a pool of security considerations to choose from, that must be addressed to extend privacy and safety of personal data to patients. While maintaining healthcare IT security appears to be a daunting task, with the right planning strategies, it’s not impossible. A good amount of technical expertise, business knowledge and strategic planning goes into securing any healthcare system; be it a solo practice, or a multi-location system. It is the only way security experts can effectively bring about a balance between the undying quench for impenetrable devices and the continuous demand for user-friendly, accessible tools and software by medical users. 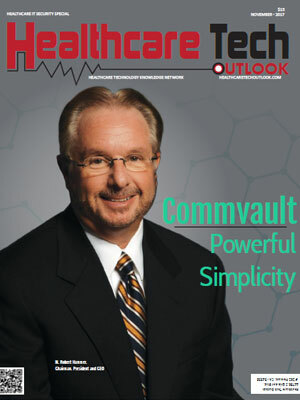 To help CTOs, CIOs, and CMIOs find the right healthcare IT security solution, a distinguished selection panel comprising of CEOs, CIOs, VCs, industry analysts, and our magazine’s editorial board has selected a list of security solution providers that exhibit innovative technologies and strategies. We have considered the vendor’s ability in building solutions and services that can effectively yet economically account for a productive healthcare IT solution offering, keeping in mind the factor of time-focused delivery. We present to you Healthcare Tech outlook's Top 10 Most Promising Healthcare IT Security Solution Providers - 2017.